Bankruptcy can make the person’s life miserable. This is one of your worst nightmares. It can turn your life upside down. 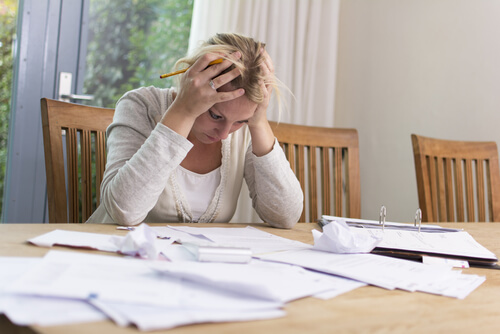 In these times, several individuals are slowly traveling the road of bankruptcy. Especially those who do not care how they spend their hard-earned money, they are just putting their lives in danger. With the current economic depression, individuals are encouraged to slow down their expenditures and learn to save more. If they will continue to be stubborn, bankruptcy will definitely haunt them. And if this happens, their loved ones are the first ones who suffer the consequences. When you are in this situation, you have to be ready for all the things that come in your way. This will surely be a tough fight. Financial institution will definitely reject you. Apparently, no one wants to borrow money to someone who is penniless. It only implies that a person’s purchasing ability is deeply affected by bankruptcy. Priorities are organized, need and wants are separated. Of course needs must be met first before fulfilling the rest. The usual lavish way of living should be toned down. Buying personal investments, such as real estate, seem to be unattainable at this time. Although you have your savings to purchase one for yourself, you will have hesitations if you are going to do it or not. You will think that there are more important things than getting a property. Before entering into a new loan or mortgage, you have to settle all your existing financial obligations. Otherwise, you will just pull yourself to the grave. You are just leading your way to bankruptcy. On the other hand, if you are really decided to purchase a house, there can be several ways to do it. If you happen to have an existing home loan, you can stay away from foreclosure. Mortgage modification or credit refinancing is the best solution to this. You can still save your house. Usually, if you are looking for financial support, banks require you to be financially stable before they grant your loan. In this way, lending institutions are secured of your capability to pay them. If you have enough savings in your bank account, you can present this to them to prove that you have a stable income. When getting a loan, you have to show the necessary documents that will guarantee your stability. Normally, lending companies ask for collaterals. This is their way of getting your assurance. And if you conquered bankruptcy, you will be confident enough on providing them your collateral. Hence, real estate brokers are not bothered by the current economic condition today. They are positive about give hopeful homeowners the chance to own a home. Therefore, bankruptcy can greatly influence the purchasing power of the person. May it be buying a real estate or just purchasing what you want, you will have to assess it first. Bear in mind, when you are financially drought every centavo counts. Thus, a thorough evaluation must be done before you invest.